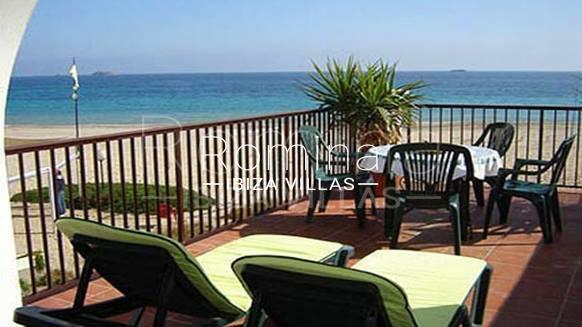 Apartment situated on the first floor of a residence located on the beach front in Playa d’ En Bossa. Beautiful views to the beach and the sea. Living / dining room, semi open fitted kitchen, 2 double bedrooms, 2 bathrooms. Parking. Communal swimming pool. Air conditioning in the living room.